Hello again, friends. We are all now eating frog for breakfast, yes? You better be! If you do and make it a habit I guarantee you, you will experience noticeable results in your business and in your life! Haven’t read part 1? Get caught up here. 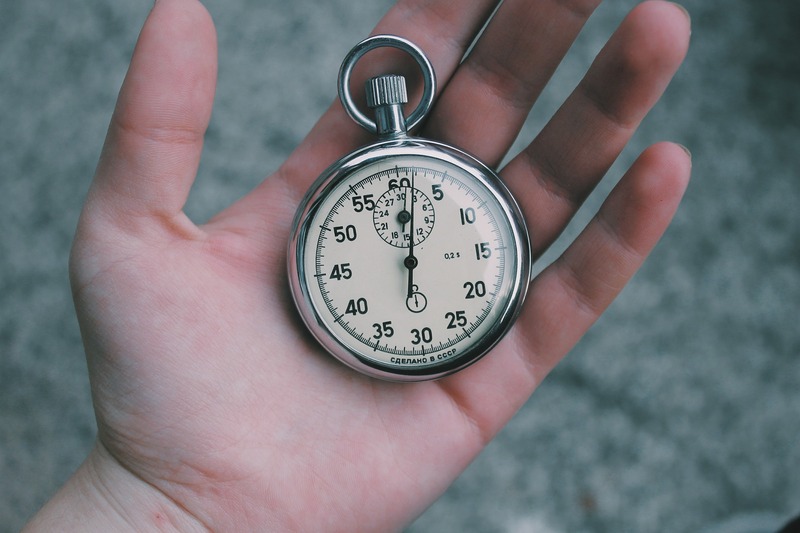 The graph below will help you gain a deeper understanding and perhaps take on a new perspective into how you are presently managing your time. Which quadrant are you spending the predominance of your day in? Are you putting out fires or are you making time to become more efficient and competitive as a company? Isn't it time you understood where your daily hours on average are spent? Hint...if it does not include a good percentage of Quadrant 2 then you likely are stuck and unsure why. Well, here is the reason! You need to learn how to be growing as an owner/leader and learning how to better manage your time! We’re here to help. 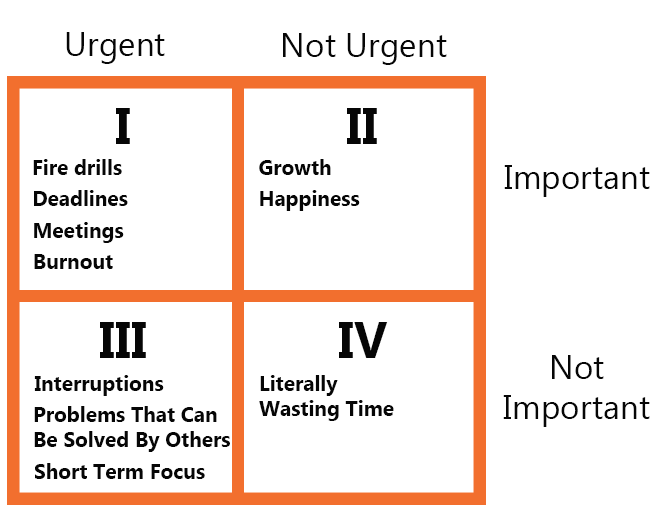 You are in Quadrant number 2 when you are working on things that are Important but Not Urgent! Here is where much (if not all) of your growth and saw-sharpening will take place. Sharpening your saw is what you must do. All super successful owners do this! They spend time positioning the business to be more efficient, viable, and competitive. They are constantly educating themselves. Learning new things to grow and scalethe business. Deploying new and improved methods and technologies to run the operations and more. Interestingly, it is here where you will find true success and happiness. Look at your business and see what specific things are holding you back from spending time here. Make the changes necessary to make this happen! If you are here, again notice it and Shift! So now ask yourself: where do you (on average) spend the majority of your time? If you don't know, track it each day for two weeks. Examine the results and make the change. If you need help making the change, find a business coach...they will for sure help you get there. And, if you need advice on who to look for and how to hire one, feel free to contact us here at Optimum!